If you are like the many who maintain a regular workout routine, you most likely want to build lean muscle while shedding a significant amount of fat. This can be a timely process for newcomers, as you may feel initially discouraged when not seeing immediate results. While a rigorous workout schedule can help improve your overall level of fitness, there are many supplements that can help you reach your full genetic potential much easier. In today’s article, we will be looking at three natural supplements that can aid in building muscle while you work towards achieving your personal fitness goals. At Seung-Ni fit club, we offer a variety of leading fitness and body sculpting classes such as Zumba, kickboxing, cycling, and many other courses designed to improve your level of cardio while building lean, toned muscle. Not only do we offer all new members their first month at Seung-Ni Fit Club for just one dollar, we also have a number of locations to choose from around Michigan including Bay City, Midland, Saginaw, and Traverse City. To learn more about three supplements that can put you on the fast track to a stronger body, continue reading more below. 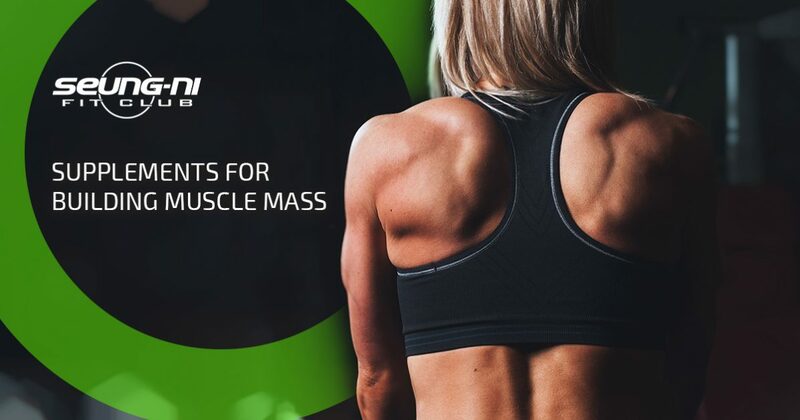 Magnesium plays a key role in ZMA’s effectiveness, as Magnesium has been shown to significantly decrease cortisol levels, leading to reduced stress and the relaxing of muscles. If you are looking for a daily supplement that will help you make quicker gains while improving your quality of sleep, consider ZMA as an effective solution for your needs. A commonly used supplement for building muscle and improving one’s workload in the gym, creatine is an acid that is found naturally in the human body. Individuals that are looking to increase mass, improve their one-rep max, or strengthen their levels of endurance while in the gym can benefit significantly from a daily supplement of creatine. This is a perfectly safe supplement that can be taken continuously with no ill effects, and is recommended for those who are wanting to boost their volume output safely. Many against creatine have stated that creatine can cause muscle tears, dehydration, and a host of other side effects. However, there is currently no evidence or research to suggest that this is the case. As you workout, the muscle fibers in your body create micro-tears that are later repaired and made stronger. This is the body’s way of adapting to a new workload in trying to accommodate the weights or resistance that it is normally not used to. This is why it is important to always supplement protein after a stringent workout. Protein plays a vital role in distributing the nutrients needed to your muscles in order for them to recover more quickly. Post-workout protein shakes are extremely effective for repairing the tears that were created during your workout, as liquid protein has a higher bioavailability than protein found in foods. This is because liquid protein does not need to be broken down or digested like solid protein would, providing immediate nutrients to your body’s healing sites. Seung-Ni Fit Club sells a variety of protein powder supplements on our online store, including whey protein powder as well as vegan protein powder. The three supplements listed above are incredibly effective for helping individuals build muscle mass, shed fat, and improve their endurance while in the gym. If you would like to learn more about any of our offered classes, or you are considering signing up for a monthly membership, learn more by visiting our website today! We are happy to help supply you with any information that you may require and can’t wait to help you achieve your personal fitness goals while on your journey to become a happier, healthier you.